Whether you’re planning to fly regionally or to a nearby destination, the Piaggio P180 Avanti can certainly take you there with ease and comfort. This 6-seat aircraft has just about what you’ll need to reach as far as British Columbia, if you’re coming from Toronto, Canada. It also has a combination of passenger seats and divans. Another feature which this plane has would be a WiFi connection. With internet access, you can stay in touch with your family, friends and professional networks. Each side of the Piaggio P180 Avanti’s passenger seats also has a pull out table. This allows for you to relish your meals, snacks or drinks throughout your 2 hour flight. The same table of this aircraft can also be used as a platform for your laptop. This way, you can still stay productive throughout the course of your trip. You can check your emails, update your cloud based files or coordinate with your team to stay on top of your projects. Know more about the specifications of this private jet and book for your very own charter today. As you hop on Piaggio P180 Avanti, you’ll get to appreciate more of the skies and some of the horizons which you’ll fly over. This is just the plane you’ll need for short flights, since it has a jet-like agility while maintaining the sightseeing potentialities of small planes. It doesn’t go way up high, leaving out the chance for you to appreciate mesmerizing clouds. Aboard this plane, some of the farthest destinations you can reach from Toronto, Canada would be Guatemala, Honduras and Washington, USA. Will you happen to max out the flying range of this aircraft? Then it would be advisable for you to confirm its allowable passenger count and luggage weight. As your operator considers the best possible routes and schedules of your flight plan, keep in mind a lighter aircraft lets you reach farther destinations. These can even be done in much faster paces. 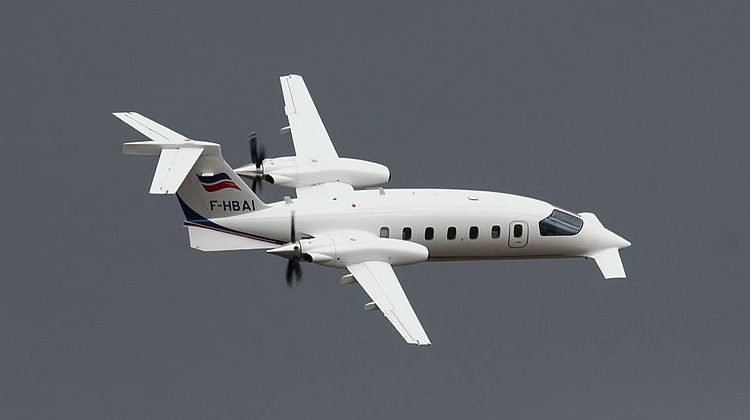 Manufactured by Piaggio Aerospace, the Piaggio P180 Avanti had its first flight in 1986. It has over 210 units being flown around the world, with the Italian army, navy and air force as its primary users. Some of its civil versions are used as corporate jets. Other units are found to be helpful among military sectors coming from Canada, United Arab Emirates, Bulgaria and Poland.